Using the measuring systems from Jenoptik, you can accurately and fairly monitor whether speed limits are being observed on a certain section of road or not. Reduce the risk of accidents on dangerous sections of roads and help to improve road safety. The average speed on a specific section of road can be monitored by using the section control systems. If a driver's average speed across a given section of road exceeds the permitted speed limit, the system collects the relevant data and provides you with sharp images as evidence. The "section control" measurement starts as soon as the vehicle enters the relevant section of road. A camera reads the verhicle’s license plate and encrypts it using the latest cryptology methods, rendering it anonymous. When the vehicle exits the section, the license plate is again read and matched anonymized to the license plate captured at the beginning of the section. Using these two data records and, using the elapsed time between them, the system calculates the average speed and compares it with the maximum permitted speed for that section of road. If the average speed exceeds the permitted speed limit, another camera takes a photo of the vehicle and forwards the data via an existing network or an encrypted UMTS connection. The high-resolution images can be used in court as evidence. Any information about vehicles that have not exceeded the speed limit is immediately and permanently deleted. The data remains protected at all times, since the data is encrypted and all data about vehicles not exceeding the speed limit is immediately deleted. The Section Control systems from Jenoptik monitor several lanes simultaneously and also recognizes when a vehicle has changed lanes. Speed limits for different vehicle classes can also be set or several road sections combined with each other. The systems are ideal for both stationary use, such as in a tunnel or on a highway, and for mobile use for short-term monitoring of road works, for instance. The systems can also be adjusted on a case-by-case basis to account for special requirements. Advanced technology: Based on the latest laser vehicle detection and high-resolution color cameras. Flexible: Can be used for stationary or mobile applications. 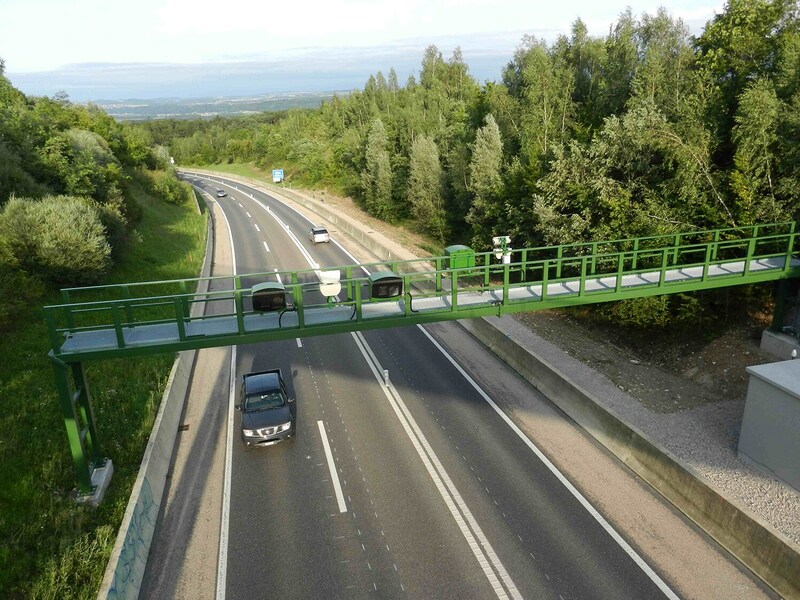 Effective and cost-efficient: Monitor one long section of road using only one system. Documentation that can be used as evidence: Driver and tailgate photos guarantees an identification without doubt. Reliable data protection: Use anonymized (encrypted) measurement data. Personal data is recorded only once the measurement is complete and only in the event of a speed violation. Customer-specific features: Can be enhanced with customer-specific modules as required. Traffic safety: Choose between mobile and stationary monitoring systems for measuring average speeds.